After months of record new car sales, consumers have taken a breather. Sales are off their highs, meaning buyers have a little more bargaining power. At the same time, the huge number of cars coming off leases has inundated the used-car market, pushing prices lower. It seems there has never been a better time recently to buy a new or used car. At least, that was the situation a week ago. But now Hurricane Harvey has dumped more than 50 inches of rain on the Houston metro area, and that has resulted -- among other things -- in the flooding of an estimated 500,000 cars and trucks. Presumably, the owners of those totaled vehicles will soon be getting checks from their insurance companies and will be buying either new or used replacement vehicles. When that happens, there will be a surge in automotive demand and good deals will be harder to come by. Industry experts say the market dynamic may turn on a dime. Before last weekend, the assumption was that the glut of used cars would depress the prices of both used and new cars. After the damage caused by Harvey, all bets are off. 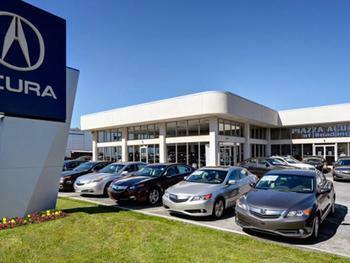 In an interview with CNBC, Steven Wolf, chairman of the Houston Automobile Dealers Association, predicted a surge in demand for replacement vehicles in the next 30 days. Wolf said used-car prices are likely to quickly rise, though he thinks new cars will not see the same kind of upward pressure. Labor Day weekend is usually a big promotional time for both new and used car dealers. Consumers outside of the Texas flood zone, who are in need of a new set of wheels, might be wise to take advantage of the sales. While prices are already rising for used cars, you might be able to get a better deal now than you could a month from now. New car promotions are usually set up weeks in advance, so new-car Labor Day weekend promotions should not be affected. The estimated half million cars and trucks flooded by Harvey's downpour should be headed for the scrap heap. As in almost every flood situation, a few will illegally make their way to the used car market. Consumers don't have to worry about it when shopping this weekend, but in the weeks ahead used-car shoppers need to be wary of cars from Texas on the used car lot, especially if they smell musty and are beginning to show signs of rust.